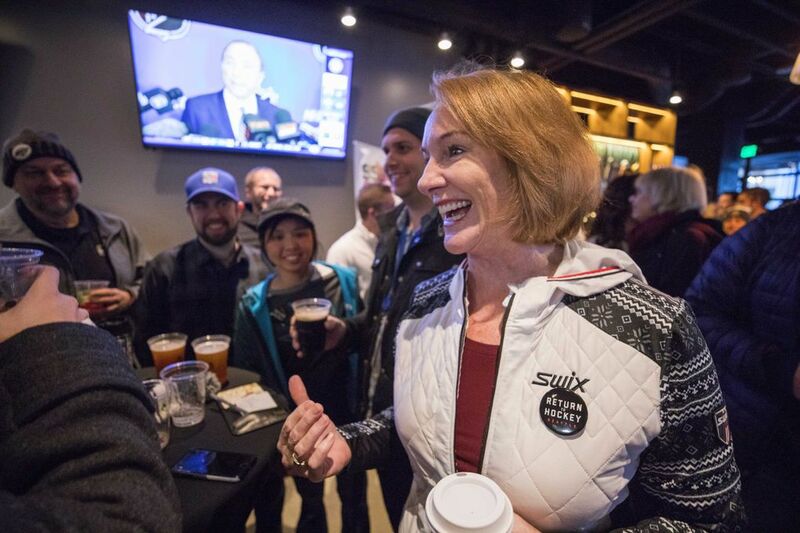 Mayor Jenny Durkan and a full-capacity bar gathered Tuesday morning to celebrate the NHL vote awarding Seattle a franchise that will begin play in 2021. Before the wait ended, the party started. “I don’t know if I’ve ever had a beer on a weekday at 7:30,” a man near the door joked to his friend. In more ways than one, this was a day for firsts. 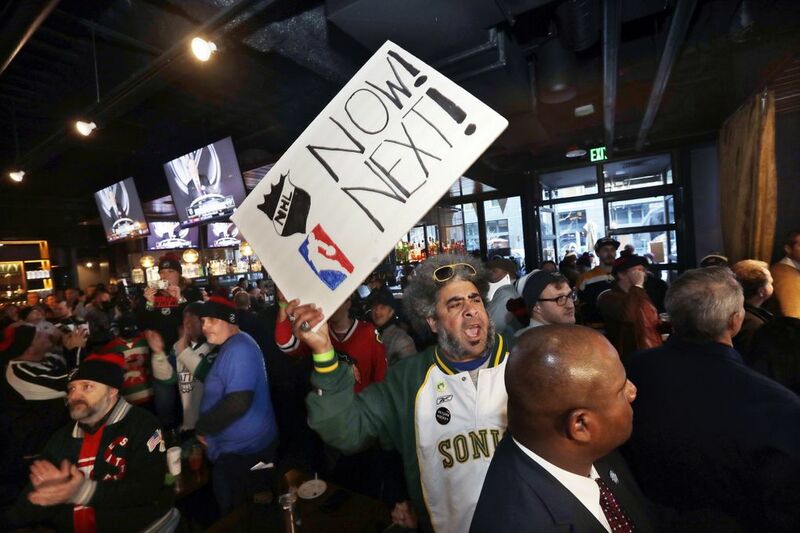 For the first time in the city’s history, a National Hockey League franchise was awarded to Seattle. And, unsurprisingly, a celebration ensued. 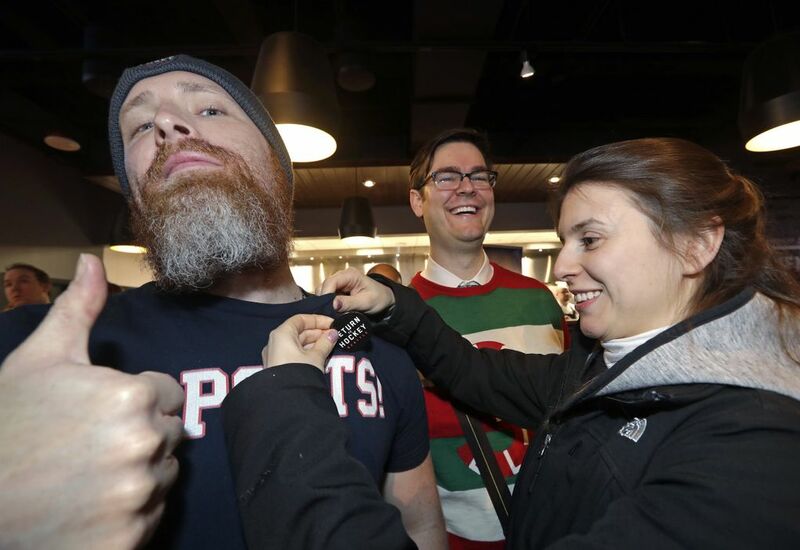 That included seemingly endless rounds of Bloody Marys, beers and mimosas. 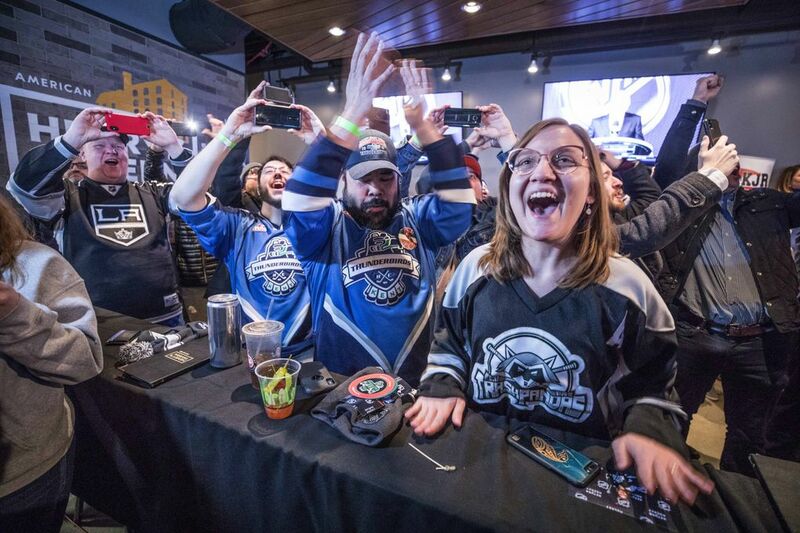 It included orange ricotta doughnuts, breakfast sliders, mini burritos and ice cream sandwiches shaped like hockey pucks. 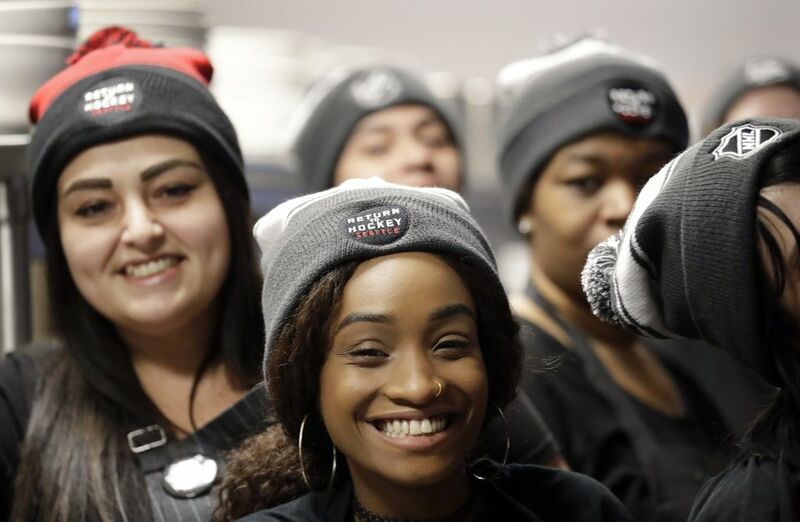 It included a full-capacity turnout of 260 guests, many sporting sweaters and hats from various NHL teams. 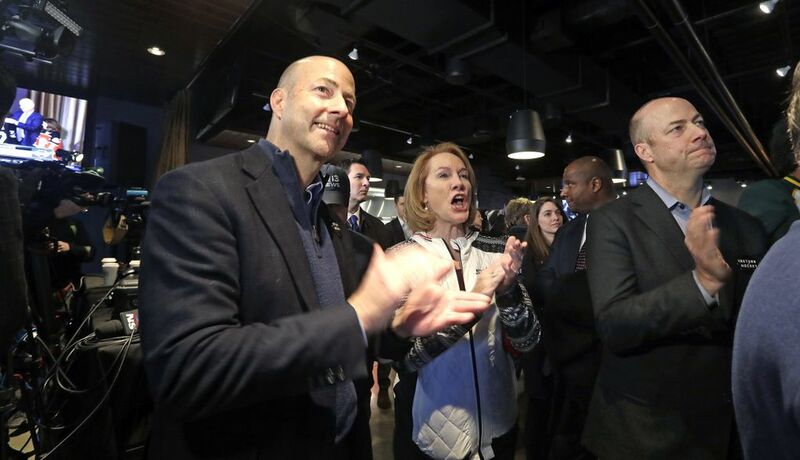 It included a cameo from smiling Seattle mayor Jenny Durkan. It included Paul and Deidre Brownlow, and they have a story to tell. When the as-of-yet unnamed franchise hits said ice, both Brownlows will be there. That’s how it’s always been. Shortly after they started dating in 1986, Deidre bought Paul a Thunderbirds season ticket for his birthday. She also reserved the seat next to him for herself. “It was like, ‘I’m buying you a season ticket, and I’m going to have the one next to it. So hopefully this thing lasts,’” Paul Brownlow said with a laugh. They aren’t the only ones. 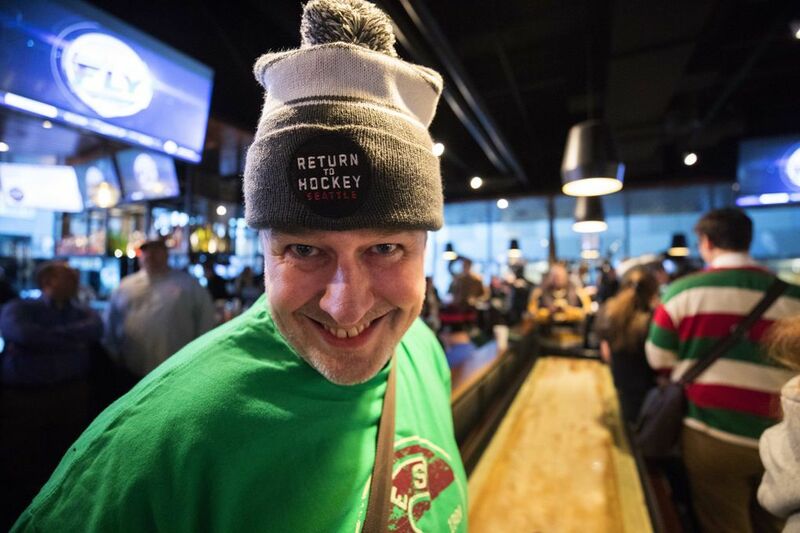 A few feet down the bar, Paul Buxton was wearing actual padded hockey gloves and holding a tattered roller hockey stick, as if a game might break out at any moment. 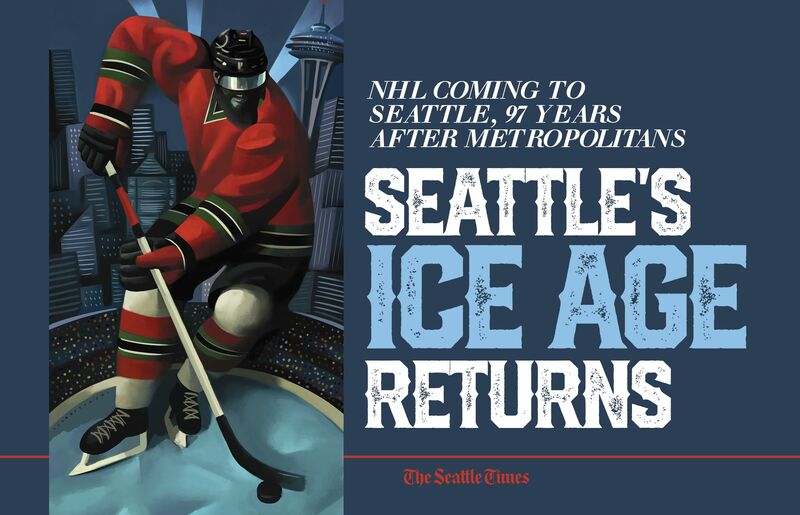 The San Jose transplant was draped in a red-and-green-striped Seattle Metropolitans sweater as well. 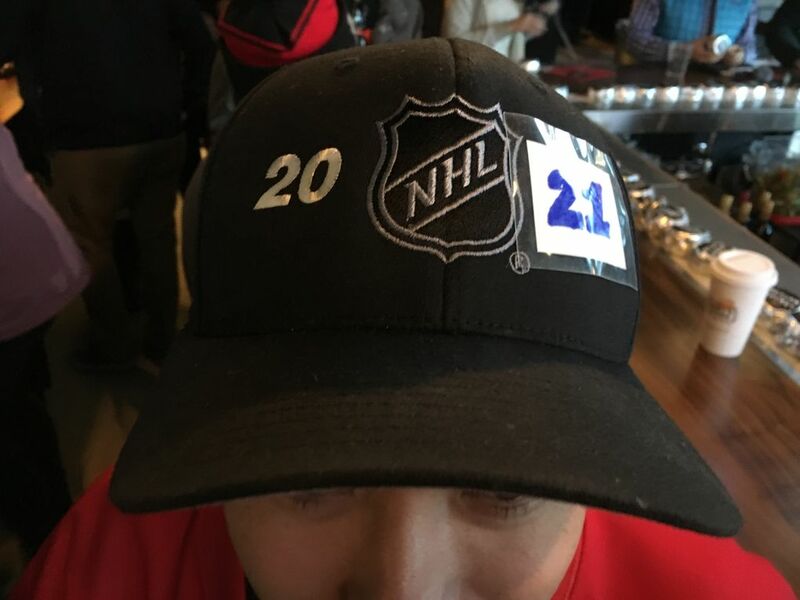 Buxton completed the ensemble with a black NHL Seattle hat that originally had four numbers etched across the front: 2-0-2-0. On Tuesday, he taped over the final two and added a hasty correction: 2-0-2-1. 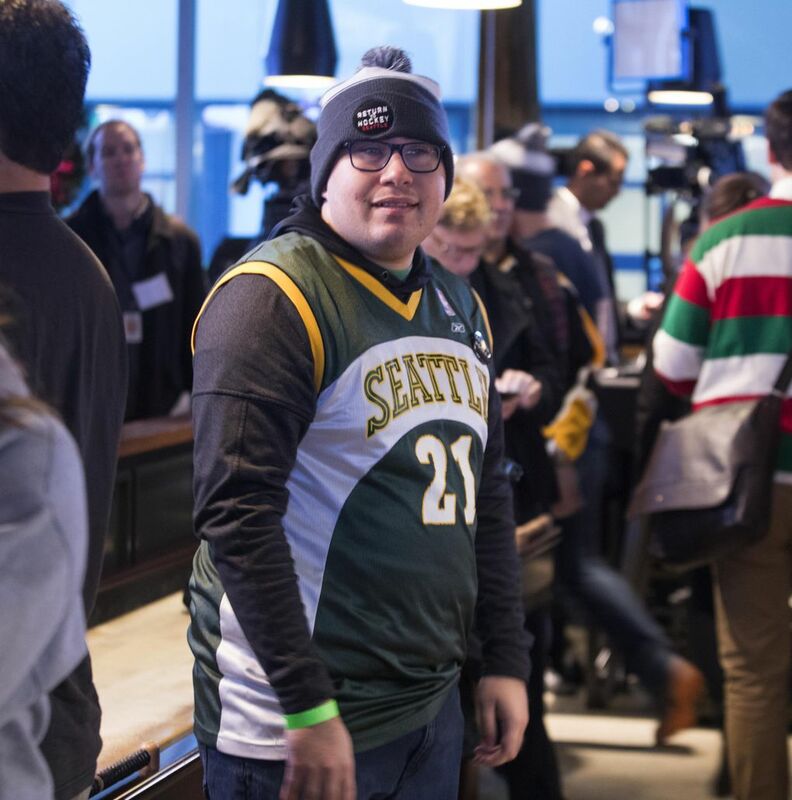 Paul Buxton wears a 2021 NHL Seattle hat at Henry’s Tavern in South Lake Union on Tuesday (Mike Vorel/The Seattle Times). Considering he arrived nearly three hours early Tuesday, Buxton was clearly prepared to wait. 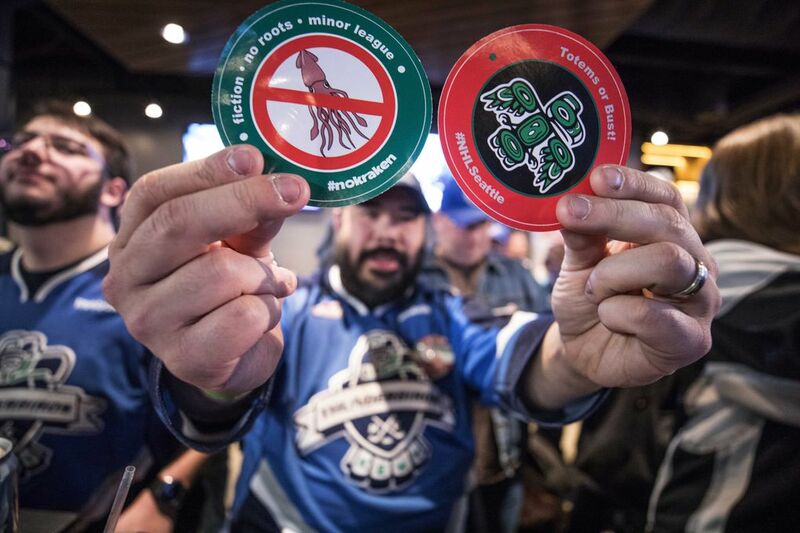 But, all obsessions aside, don’t those bulky hockey gloves make it difficult to eat and drink? “A little bit,” he conceded. “I have to take them off every once in a while. I got here at 6:15 in the morning and it was pretty cold outside, so the gloves sort of helped. 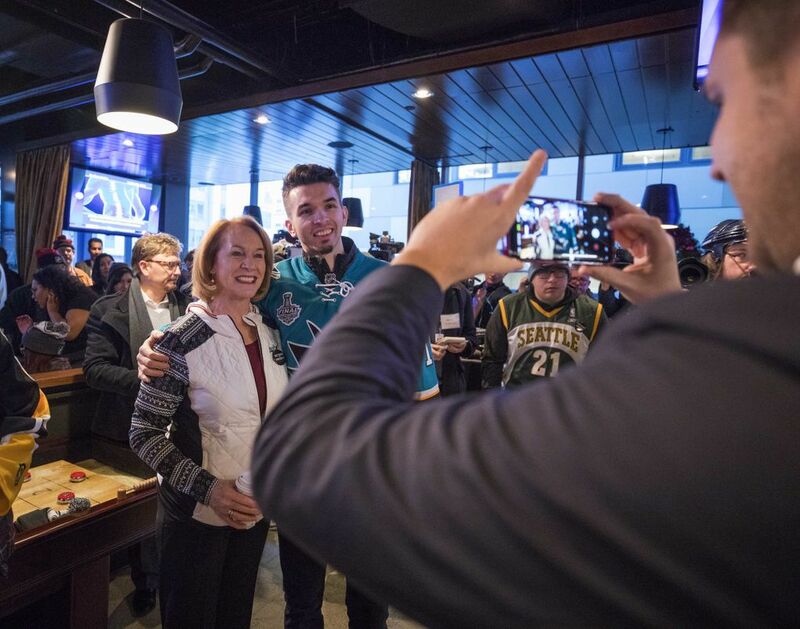 Mayor Durkan was one of the more visible part of that experience — smiling for selfies with random fans, grabbing a headset for a radio segment, beaming as NHL commissioner Gary Bettman acknowledged her efforts during his opening remarks. 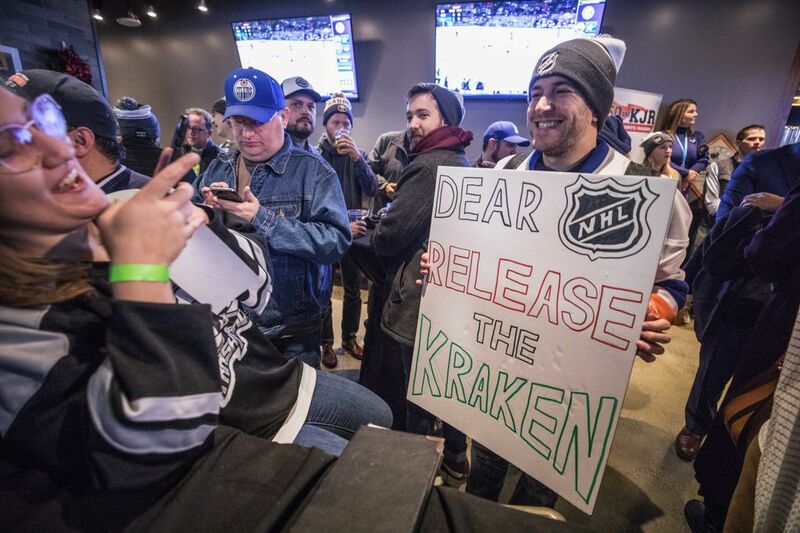 But first, they’ll have hockey for Paul and Deidre Brownlow; for Paul Buxton; for Andreas Tsircou, who took a day off from his job at Boeing and nursed a Bloody Mary at the bar. 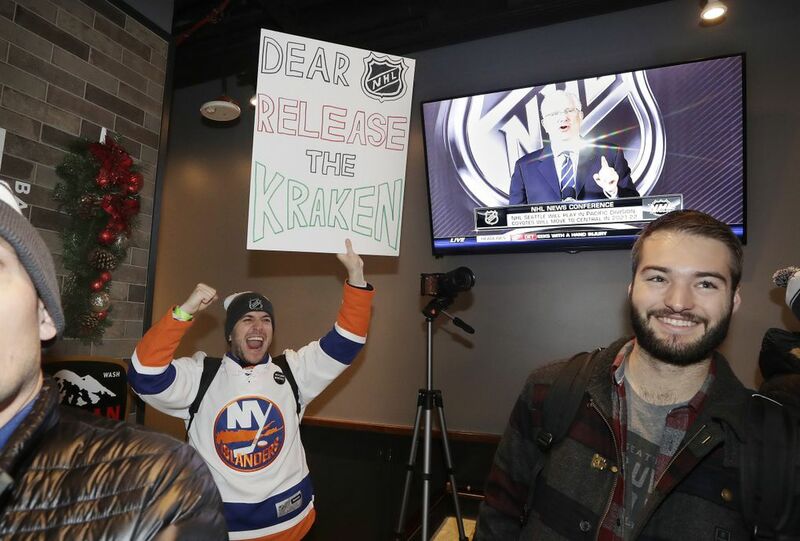 They’ll have hockey for Max Rubin, a native New Yorker who wore a white Islanders jersey and held a sign that read, “DEAR NHL: RELEASE THE KRAKEN”. 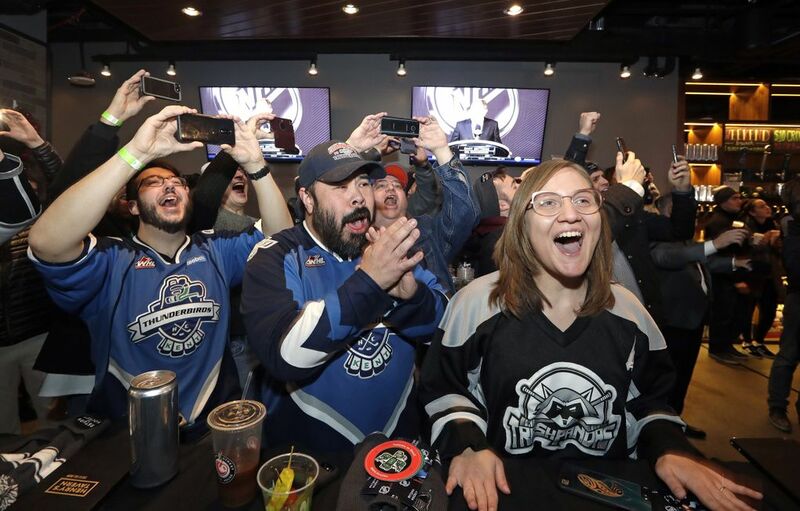 They’ll have hockey for the 32,000 fans who have already made season-ticket deposits, and the 260 more who drank beers at 7:30 a.m. and toasted Seattle’s first NHL team. 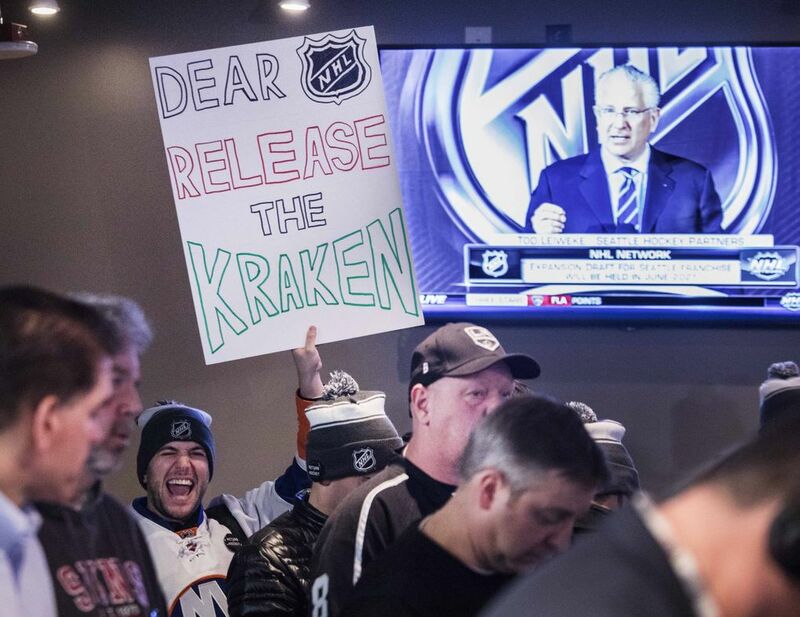 Leiweke might not have heard it in Sea Island, Ga., but those fans in Seattle shouted back.